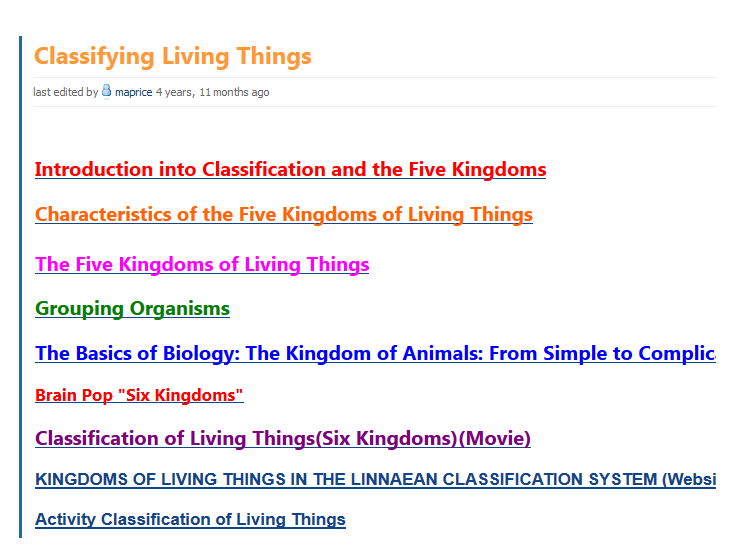 Kingdoms Virtual Lab- Students will identify living things dragging them to the category which they belong. 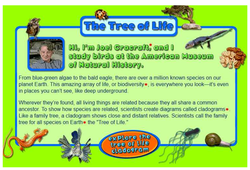 The Tree of Life - Wherever they’re found, all living things are related because they all share a common ancestor. 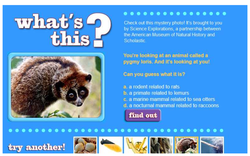 To show how species are related, scientists create diagrams called cladograms. Like a family tree, a cladogram shows close and distant relatives. 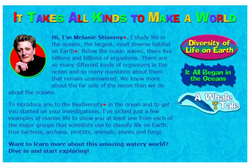 Scientists call the family tree for all species on Earth the "Tree of Life." 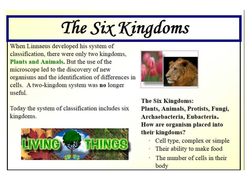 The Six Kingdoms- Students can investigate the six classifications of kingdoms. 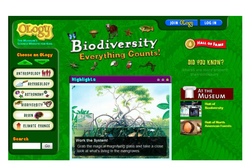 Biodiversity- The museum's science website for kids. 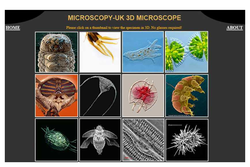 It Takes All Kinds - To introduce you to the biodiversity in the ocean and to get you started on your investigations, I've picked just a few examples of marine life to show you at least one from each of the major groups that scientists use to classify life on Earth: true bacteria, archaea, protists, animals, plants and fungi. 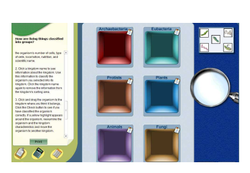 Cells Alive - Look at and learn about different kinds of Cells.